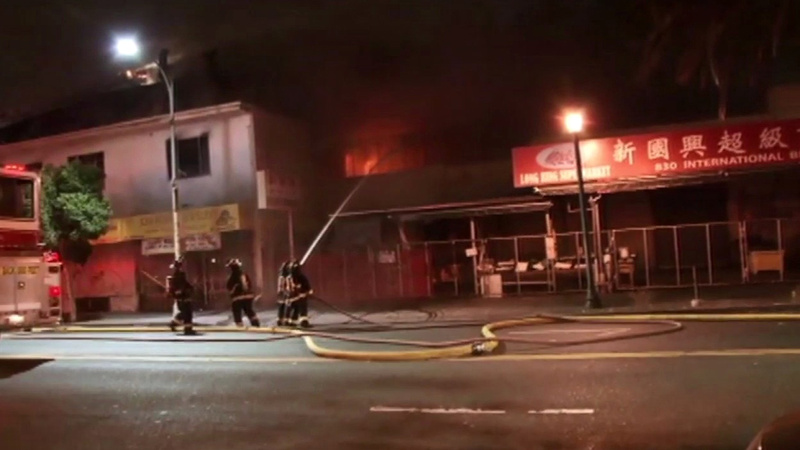 OAKLAND, Calif. (KGO) -- Firefighters have knocked down a three-alarm fire at two-story building. Firefighters were called to the scene near 8th Avenue and International Boulevard around 2:30 a.m. The fire was under control about an hour later. There is a store on the first level of the building and apartments on the top.